There is never a dull moment when you’re a pet detective. In my 14 years of tracking lost pets, I’ve assisted families in various circumstances surrounding the disappearance of a lost pet including the search for a cat who escaped his apartment after his elderly owner was bludgeoned to death by an irate neighbor, the search of an amusement park for an escaped giant boa constrictor, using my bloodhound to track a police dog who escaped from his handler, a request to use my bloodhound to track “Skunk Ape” (Florida’s version of Bigfoot), and then the search yesterday for Wenty, a cat who escaped his cat carrier at SeaTac airport. The search for Wenty was complicated yet amazing. It was complicated because it involved 4 different search areas: the Tucson airport where Wenty was loaded onto the Alaskan Airlines flight, the airplane itself that he traveled on, the SeaTac tarmac area since it was suspected he may have escaped while on the plane and perhaps bolted from the plane once the cargo door was opened, and the SeaTac internal baggage area in the event he escaped after being unloaded from the plane. No baggage employee came forward to say they witnessed Wenty’s escape. 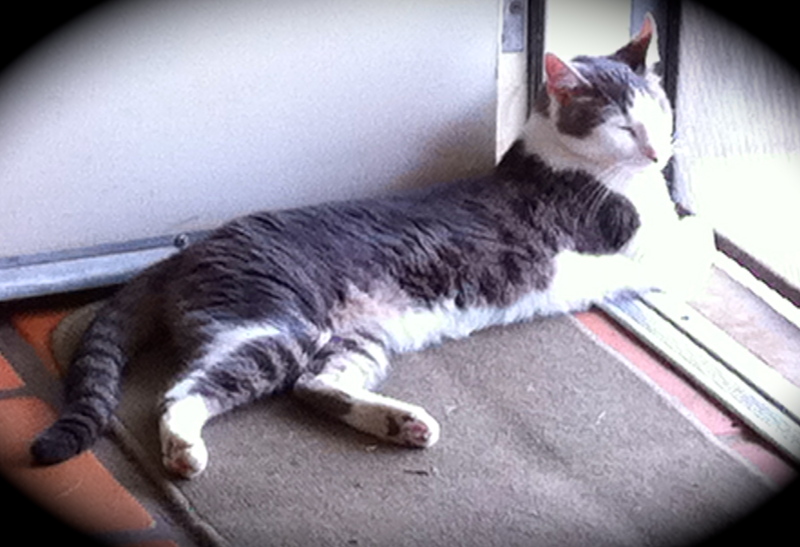 His owner simply went to claim Wenty and was given a carrier that was closed yet empty. 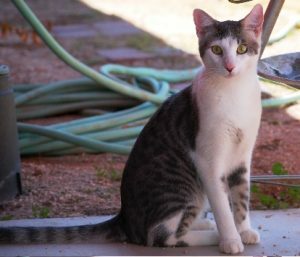 Wenty’s escape took place on Friday night and Missing Pet Partnership became involved in the case after Wenty’s guardian found our web site on Saturday, called our office, and asked if we could help. Myself, Jim Branson, and MPP volunteer Bonnie Beltz along with MPP cat detection dog Karma responded on Sunday. We used Karma’s nose, high power spotlights, a search camera, an amplified listening device, digital wildlife cameras (to see how MPP uses wildlife cameras to solve displaced cat investigations, read the story of Binky and the story of Burley) and a coordinated plan to conduct the same type of detailed “area search” that MPP typically uses when searching for a lost cat. 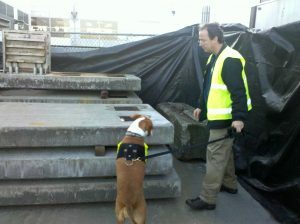 Thanks to Alaska Airlines, we were allowed unprecedented access to the baggage area and the tarmac area. Based on our knowledge of displaced cat behaviors, we knew that Wenty would be hiding in silence. We also knew that Wenty’s temperament under normal circumstances would influence his behavior when displaced. Wenty is what MPP calls a “catatonic / xenophobic” cat, so we knew he would be hiding. At one point, the Alaskan Airlines staff member asked, “Is it possible that he left the airport?” Our answer was that while that was possible, it was not PROBABLE. We reiterated that at the moment he escaped, Wenty would have bolted and would most likely dart under something, looking for concealment and protection. We searched for 3 1/2 hours. While Karma showed slight interest at one of the Alaskan Airlines baggage conveyor belts, it was only a slight indication. We felt that it was likely residual scent of a cat but certainly not a strong enough alert to indicate that a cat was hiding under there. To their credit, Alaska Airlines was willing to disassemble the conveyor belt if needed. Trust me–if Karma’s alert had been a strong alert, we would have insisted that they do that! I should also add that Alaska Airlines bent over backwards on this case. Our volunteers, accompanied by the Alaskan Airlines supervisor, were allowed access to any and every potential hiding place. We asked if we could see what the interior cargo pit of an airplane looks like and they walked us right up to a plane that had pulled up to a gate and baggage was being unloaded. We asked if they could find the same plane that Wenty escaped from and the Alaskan Airlines employee got on her cell phone. Within five minutes we were told this: Wenty’s plane had already flown to Mexico, San Diego, and was due to return to SeaTac later that night. It would have a one hour layover before flying off to Anchorage. We asked if we could get into the cargo pit of the plane to see if there was anyway Wenty had escaped into the belly of the plane. They not only granted that permission, but told us that they’d work to find a replacement plane for the Anchorage flight so MPP could have unlimited time and access to search the plane for Wenty. So at 8:58 p.m. last night, Jim Branson and Karma along with Amy Adams and her cat detection dog Harley stood by as Wenty’s plane arrived at SeaTac. They were able to enter the cargo pit area and determined that it was completely sealed with a thick plastic barrier that was designed to protect anything from cargo from entering any area of the plane. That search of the plane helped us eliminate the potential that Wenty could be on the plane, thus increasing the possibility that he was in one of the other three places: the Tucson airport, the SeaTac tarmac, or the SeaTac baggage area. Jim worked with Alaskan employees to help set humane traps and digital wildlife cameras and encouraged them to get the word out to ALL airport employees that Wenty was lost. A plan was put into motion to have a pet detective with a search dog respond to the Tucson airport on Monday morning to conduct a search there. As it turned out, that was not necessary. We received a call early this morning with the BEST NEWS possible…Wenty was found alive! At around 1:00 a.m., a baggage employee from United Airlines spotted a pair of white paws sticking out from under a United baggage carousel (a distance from the Alaska Airlines baggage area that we searched). Having heard that Alaska Airlines had lost a cat, the United worker got down on his belly with a flashlight, saw Wenty, and was able to grab him! He immediately called Alaska Airlines who contacted Wenty’s guardian and transported Wenty to the emergency vet for a checkup. Wenty is greasy and was a bit dehydrated, but otherwise will be fine. Wenty, Back Home Where He Belongs! In spite of the fact that Wenty escaped, Missing Pet Partnership would like to give PRAISE to Alaska Airlines for their unprecedented help in getting Wenty back home. 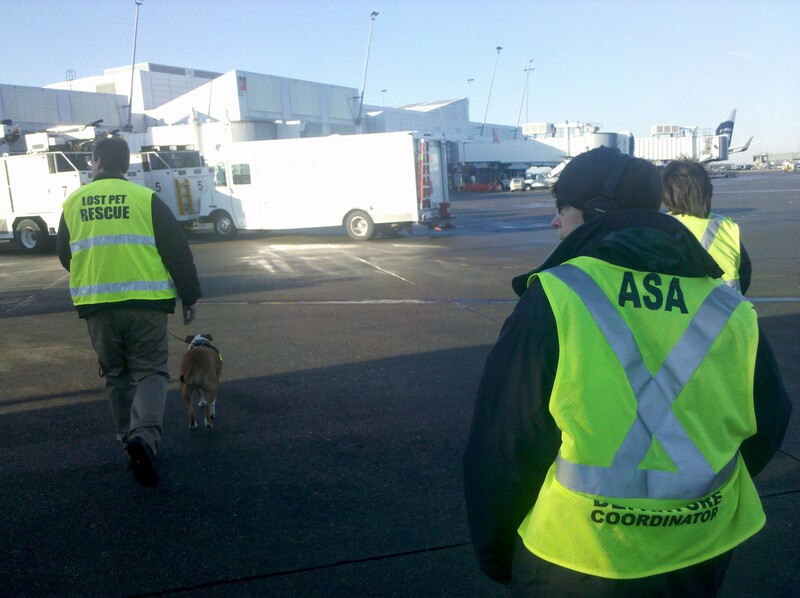 While MPP helped in the search effort, it was truly the staff at Alaskan Airlines who deserve the praise here. The fact that Alaskan Airlines (a) agreed to give MPP volunteers and our search dog access to every inch that needed to be searched and (b) they (Alaskan Airlines) notified all airport employees that a cat was missing at the airport is what made all of the difference. Thankfully, there ARE corporations who have compassion and who are willing to bend over backwards to do the right thing. THANK YOU ALASKA AIRLINES for being one of those corporations!